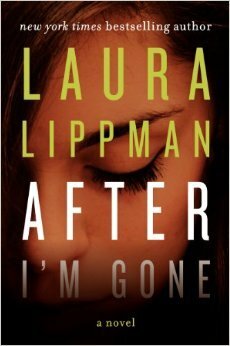 I remember being very moved by Laura Lippman’s earlier work I’d Know You Anywhere. After I’m Gone didn’t have quite the same impact on me, but it definitely kept me turning the pages way past my bedtime. Con man Felix Brewer disappears without a trace, leaving behind his wife, three daughters and a mistress. If this sounds like a story ripped from the headlines, that’s because it is: the novel is inspired by the true story of Julius Salsbury, the head of a large gambling operation in Baltimore in the 1970s. Ten years after Felix disappears, his mistress Julie goes missing. Everyone assumes she’s gone to join Felix, but her body is discovered in a secluded park a few days later. Fast forward twenty six years and retired detective Roberto “Sandy” Sanchez is investigating the case of Julie’s death. No one seems overly concerned about who had killed Julie and why, but Sanchez is the classic dogged detective, who won’t rest until he finds justice for a victim no one cares about. More than the hunt for Julie’s killer, the novel is about the lives of the women Felix left behind. We learn about his relationship with his wife Bambi, how they fell in love and how the relationship eventually hit its rocky patch. We meet his daughters, and how they dealt not just with their father’s disappearance, but also with his betrayal of their mother. And Julie, of course, and the mistakes that eventually cost her her life. Through it all, Felix remains a major force in their lives. He’s utterly unlikeable, and while generally good-intentioned, his insecurities and weakness for easy money end up destroying not just his life but the lives of the women around him. After I’m Gone is an enjoyable read, with an entertaining look at family and romantic drama. The story really hits its mark near the end, where a series of revelations reveals the strength of the family ties among the remaining women. The epilogue takes us back to Felix, and ties the whole story up where it began — with the actions of one man. What happens to someone’s loved ones when he takes the easy way out? What happens when he does get away with it, but the people around him are left to pick up the pieces. After I’m Gone is a frustrating read in some ways — even though the murderer is eventually caught, I can’t help but feel that justice has ultimately not been served — yet all too believable. One person’s choices can indeed ruin the lives of people around him, and After I’m Gone shows just how far reaching this impact can be. This entry was posted in Book Reviews and tagged 50BookPledge2014, Fiction, Harper Collins, Mystery by Jaclyn. Bookmark the permalink.